Still Trying To Secure My Tickets. Marvel really needs to stop playing with our emotions out here. They just dropped another Avengers:Endgame trailer, which shot straight up to number one trending video on YouTube. This time we all got a special look and some spoilers to wet our appetite for the upcoming film coming to theatres April 26. Marvel fans were literally losing it, well not literally of course and shared their views on Twitter. 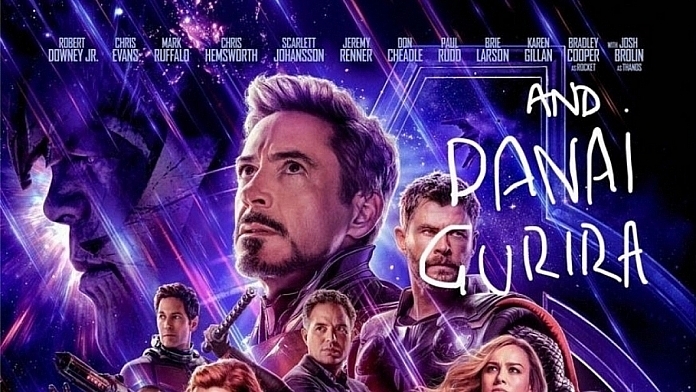 Some even noticed that Danai Gurira's name was omitted on the new Avengers poster. Woke up at 5 AM to buy Avengers Endgame tickets and within 3 minutes every seat in every showing is sold out. There were some who did manage to secure their tickets and were happy to share their news only to rub salt on the wounds of those who weren't able to. If you want to catch up on all the MCU films before the new Avengers hits the cinemas, Radio Host Smallzy, on Nova FM in Australia, shared this post to help folks out. Check out the latest trailer that is causing this hysteria.